Mead Gallery has worked with galleries in Melbourne and Stockholm to develop this major exhibition of Gerard Byrne’s work. 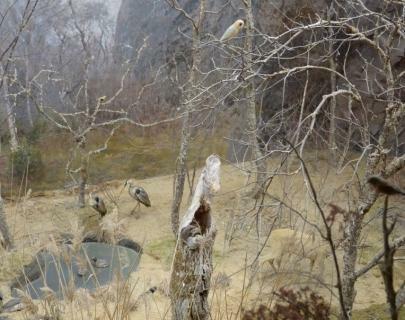 It centres on the world-premiere of a new film by the artist made at the Biologiska Museet in Stockholm: the first natural history museum to use a large-scale diorama. The 19th century diorama is a form of representation that anticipates the invention of both photography and cinema. Gerard Byrne explores this immersive representation of a Nordic wilderness as an image that is fixed both in the time of its making and of the present. His film stages a confrontation between the photographic image and the forms of representation that it supplanted and raises questions as to what comes next.